The first (hopefully of many) Community Program Streams will start rolling on Wednesday August 22 at 11 PM EDT. This will involve streams from 6 members of the Pantheon community each of which will play a different class! The following are the players as well as the links to their streams. Gratz on this great opportunity all! Newer PostMiss The Streams from Wednesday? Older PostLive Q&A With Aradune and Joppa Friday 17th! Miss The Streams from Wednesday? Live Q&A With Aradune and Joppa Friday 17th! 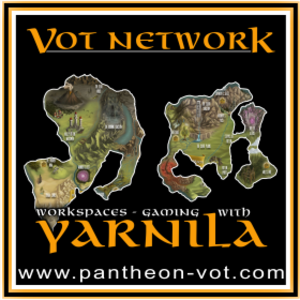 Pantheon News contains news and information about Pantheon: Rise of the Fallen (PRoTF) which is a MMORPG produced by Visionary Realms . Pantheon MMO is still under development.